Sometimes dead is better. 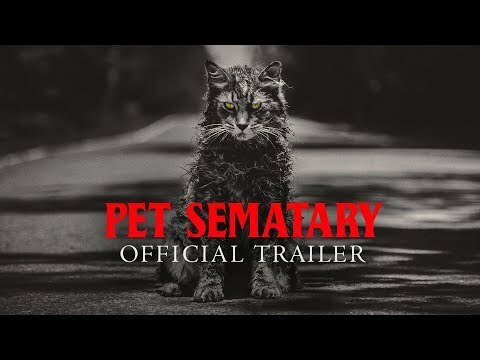 And with that tagline, off we go into the latest adaptation of the popular Stephen King horror novel about a family that discovers a creepy Indian burial ground near their new home in rural Maine – a burial ground that re-animates the dead into a more sinister version of what they were before. 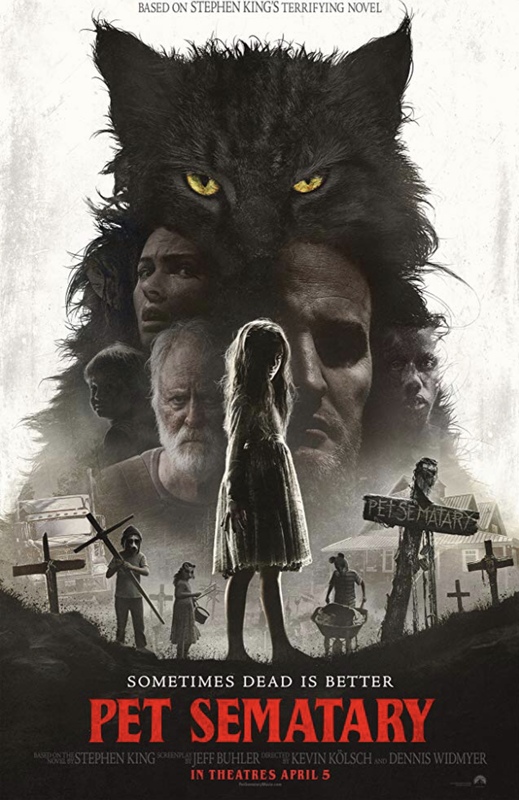 The first half of the film, which stays true to the book, does a great job of building a sense of dread, as parents Jason Clarke (Chappaquiddick) and Amy Seimetz (Alien Covenant, Lean on Pete) try to hide the death of the family cat from their exceptionally charming nine-year-old daughter Ellie – with help from well-meaning, longtime next door neighbor Jud (John Lithgow). Seriously, Jeté Laurence is so good as Ellie you will want to adopt her. But when a devastating family tragedy occurs, the story veers off course from the pages of King’s book and into the realm of over-the-top ridiculousness as family members make increasingly implausible and moronic decisions, culminating in a final act that is way more silly than it is scary. When compared to the well done trailer (below), the end result is like opening a box of Girl Scout Thin Mint cookies only to find out they’ve been replaced with Trefoil shortbreads. Boo. • Jason Clarke and John Lithgow have both appeared in the most recent Planet of the Apes franchise – Lithgow in 2011’s Rise of the Planet of the Apes and Clarke in 2014’s Dawn of the Planet of the Apes. • In the 1989 film, the family’s daughter was played by twins. This time the family’s son is played by twins.